A little surprise from the good folk of Meze Audio as the Meze 12 Classic was sent to me for review. The Meze 12 Classic came in a nice box with lots of neat little freebies (which I'll discuss in the proper review) and a good enough accessory set to place you on your way to happily sealed ears and enjoy your music unobtrusively. Now I've reviewed my fair share of non-removable cabled IEMs and though that fact is a usual turn off for some, I have to remind them that depending on it's build, the sturdiness and lack of removability should stop anyone from losing one a side or even both to the rigors of everyday life (or any series of unfortunate incidents) and by the by, the Meze 12 Classic is definitely feels sturdy overall but at the same time, quite charming with it's own unique look that you'll very likely never see on any other pair thanks to the wooden shell on it artfully melding with the metal parts of the Meze 12. The cable may look heavy but it's pretty light and the jacket the covers it feels like it would withstand it's fair share of abuse, being a microphoned set, the mic is of the same build as the shell, metal, strong and the mic as expected, quite clear with calls. 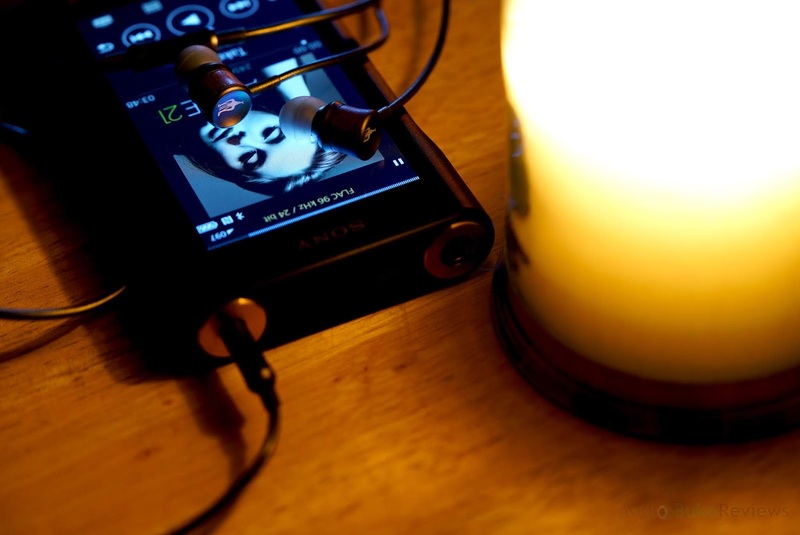 It was a cold and dark stormy night when I tried the Meze 12 on my WM1a and with the proper seal in place, the winds and the rain subsided into nothingness as the music began to play. Jewel - Who Will Save Your Soul, the few bass hits here sounded pretty good, the mids are melodious with jewels voice coming out clear and a little forward, the treble sounds crisp but a bit safe in tuning. The overall airiness and stage of the song was nice. Powerwolf - The Evil That Men Do, sounded very energetic, the drum beats felt good but it's definitely not on the center stage, the mids though, specifically the lower mids sounds awesome with the forwardness and clarity being fed into my ear, this is definitely something else for mid frequency performance. The guitars, vocals, drums all sound clear and you can pick them out individually but are harmonically aligned so they sound musical and enjoyable, the few cymbals here do sound natural and a bit controlled without any hit of harshness. Jennifer Warnes - Way Down Deep, the classic bass test, the drums here sound good with a nice hit and a good rumble, it feels a bit tightly controlled though. Her voice sounds nice and strong with a near emotive feeling to it, overall a good performance. The Meze 12 is surprisingly really good out of the box displaying good bass that's well controlled and has nice impact, forward mids and a nicely extended treble zone. Stage is nice and wide with some air to space things out. So far there is no sibilance or harshness to the Meze 12. 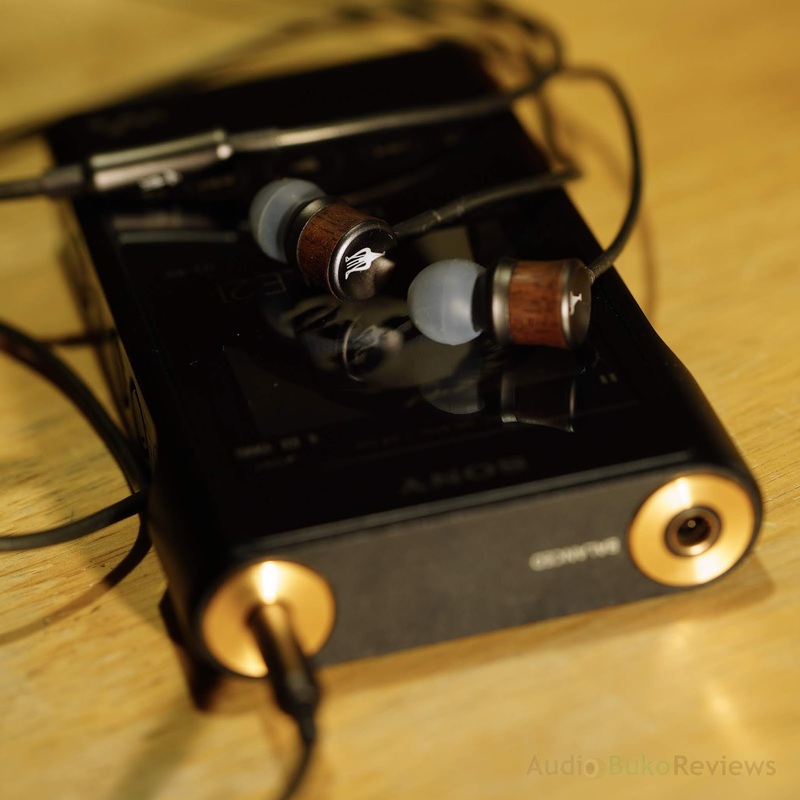 Consider that these are just initial impressions and that these impressions can change after prolonged use with a deeper analysis of the Meze 12 with the formal review in a few days. Keep safe and hang tight till then!